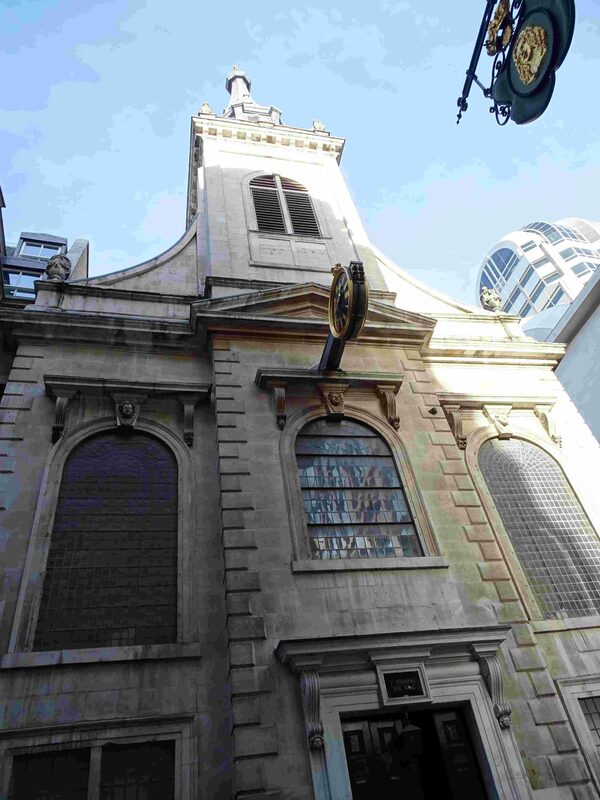 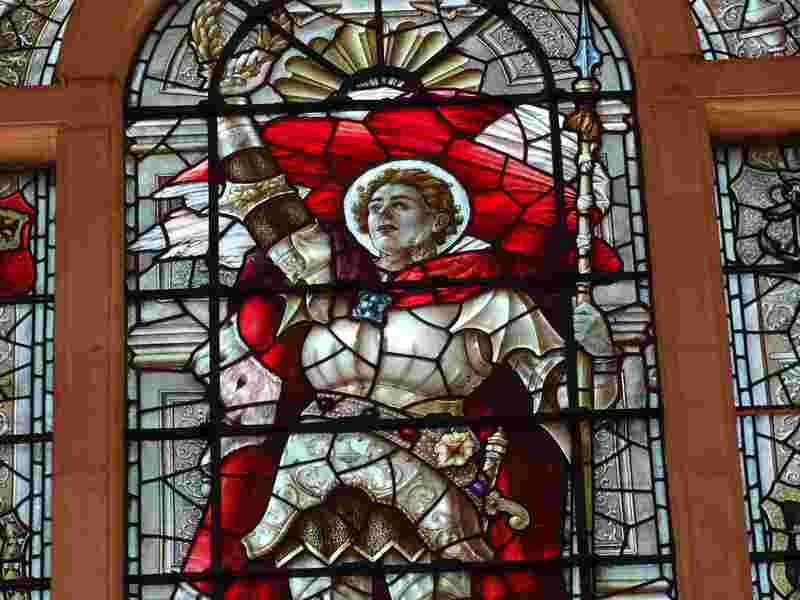 And finally, London church number 4 was St Edmund King and Martyr, Lombard Street, EC3V 9EA. 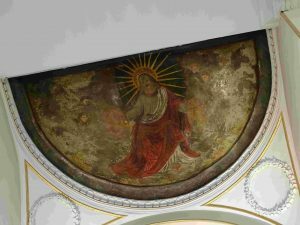 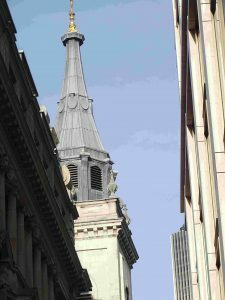 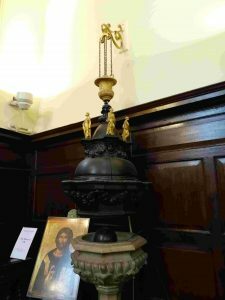 I can’t find a church website, but the building now houses the London Centre for Spiritual Direction – website – and this ‘about us’ page has a couple of paragraphs on the building. 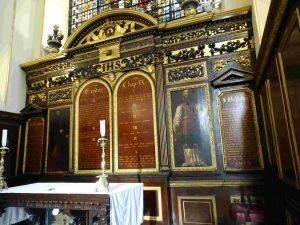 We wandered in, but if you want to visit it might be an idea to check there’s nothing on – or join them on a Wednesday morning for their midweek service. 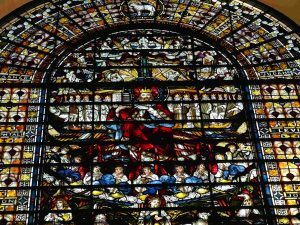 The original church dated to about 900 AD, which is only 31 years after Edmund was martyred – I wonder when it was first dedicated to him. It was destroyed in the Great Fire and rebuilt by Christopher Wren and his assistant Robert Hooke between 1670 and 79. 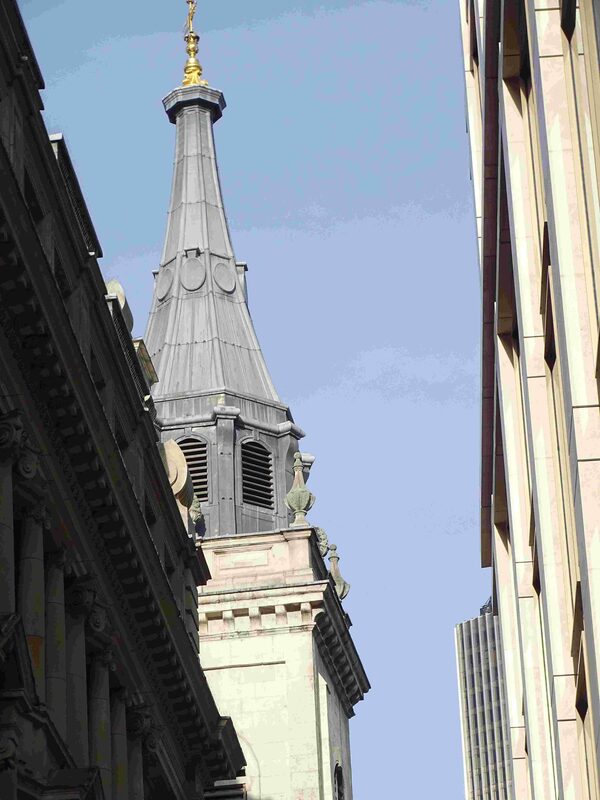 A new tower was added by Hawksmoor in 1707, and the clock in 1810. 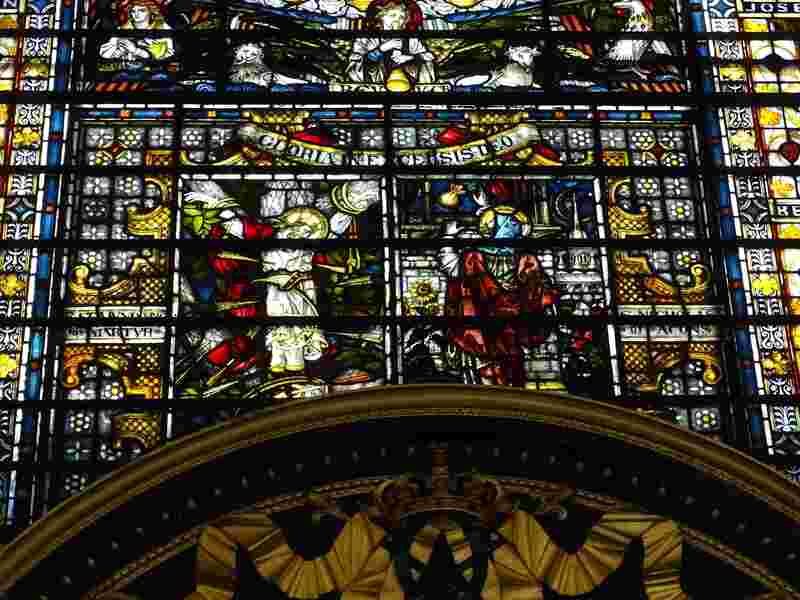 There was a major Victorian restoration. 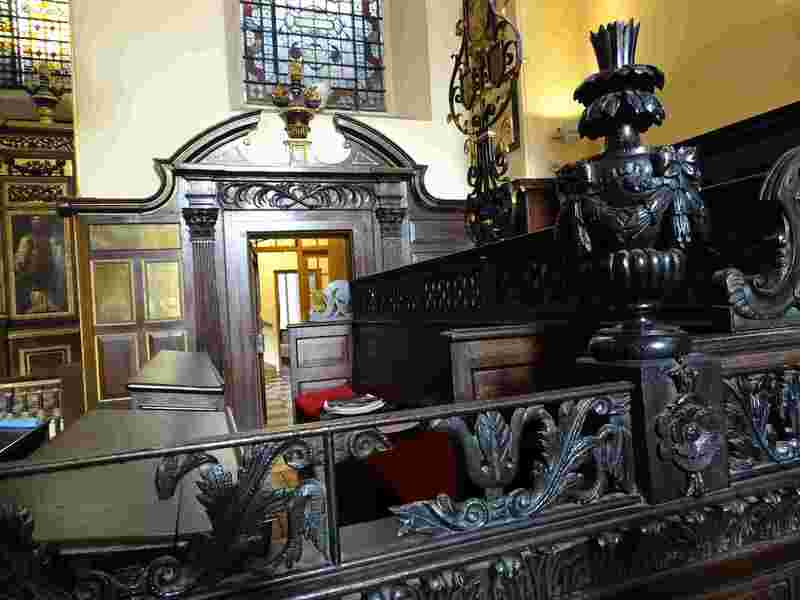 Apparently George Butterfield was congratulated for successfully creating the atmosphere of a gentleman’s dining room! 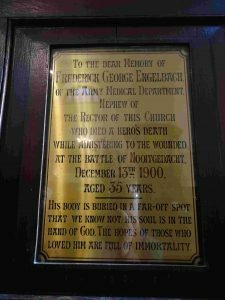 The church was damaged in WW1 by a direct hit at 10 am on 7 July 1917, and then was damaged by the blitz in 1941. The Sanctuary is certainly eye-catching. The paintings of Moses and Aaron date from 1833. 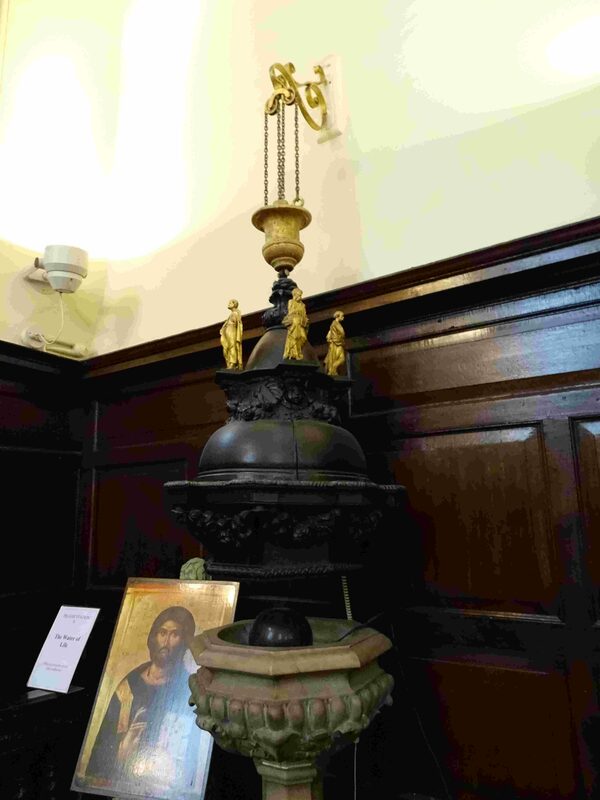 Whoever installed the light and plug under the altar should be taken outside and strangled with the same cord. 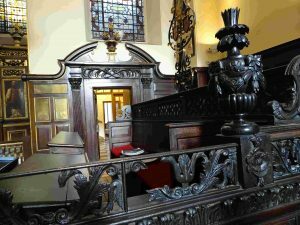 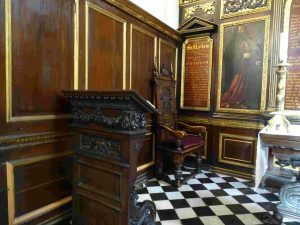 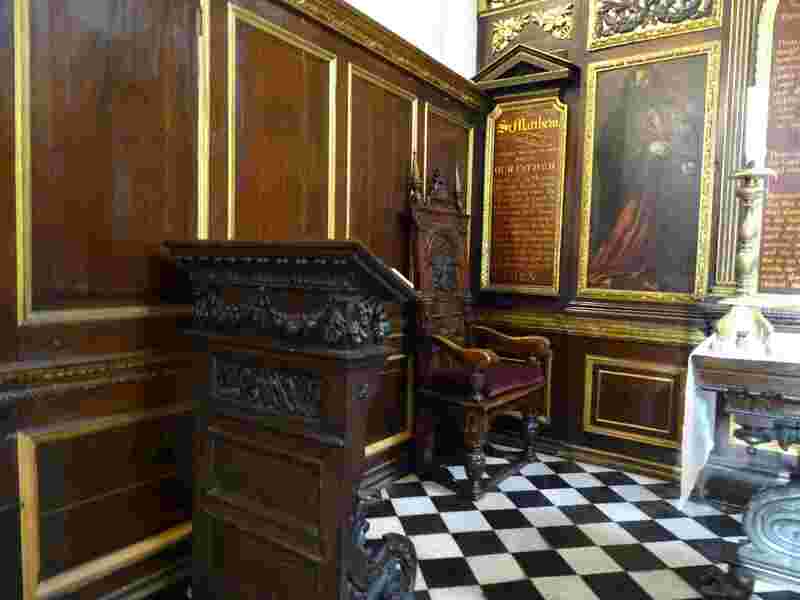 Gorgeous woodwork – and there is more elsewhere in the church. 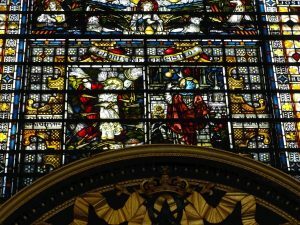 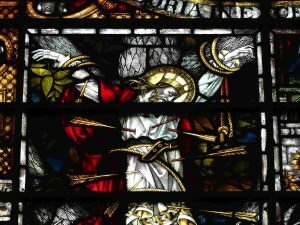 The East Window was apparently made in Germany in the 1860s, and was destined for St Paul’s. 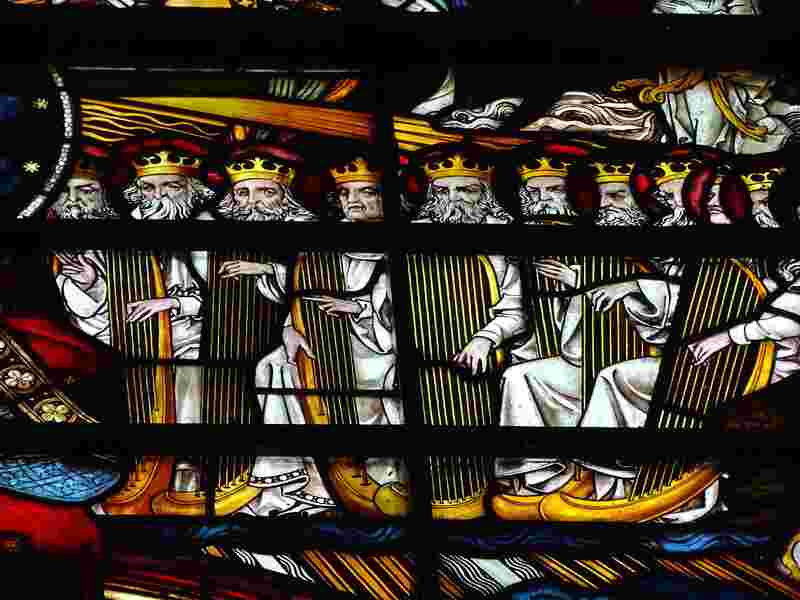 The story goes that they rejected it because the angels wee in red, not white, so it went to another church. 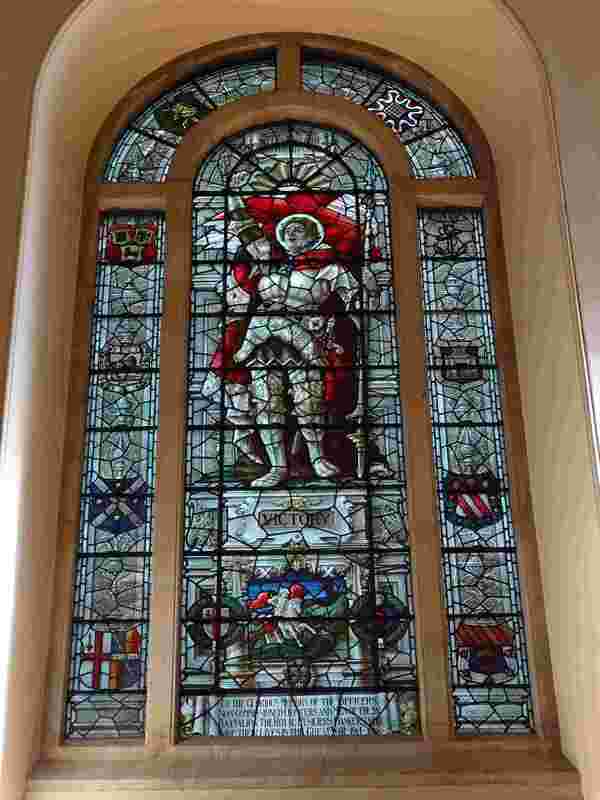 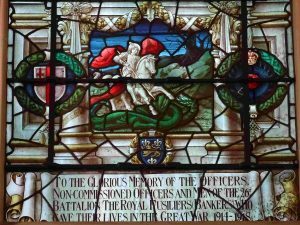 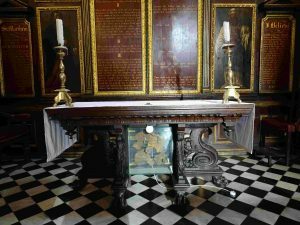 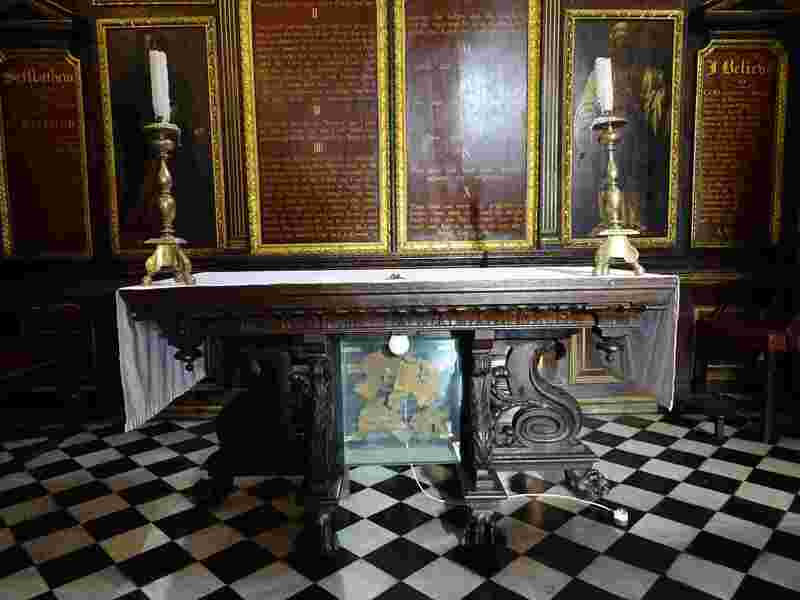 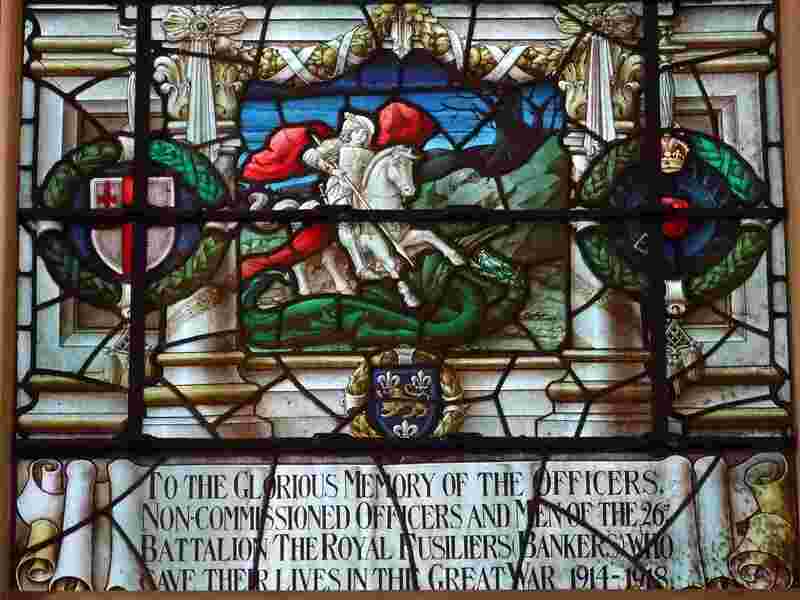 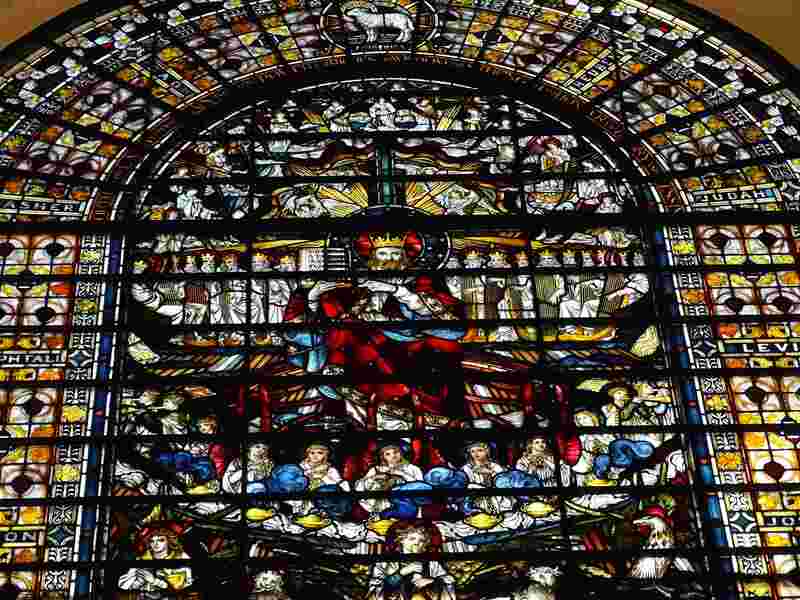 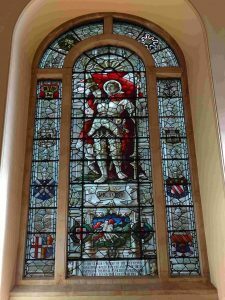 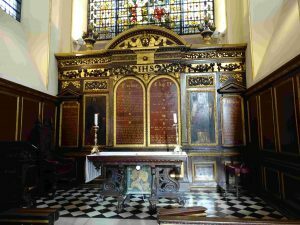 That church was demolished in 1905, and the glass came here – as a memorial to the Duke of Clarence – eldest son of Edward VII. 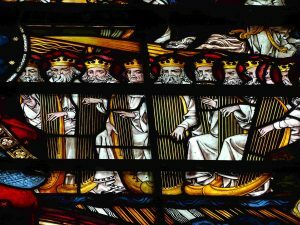 I like the elders with their harps (Revelation 5). 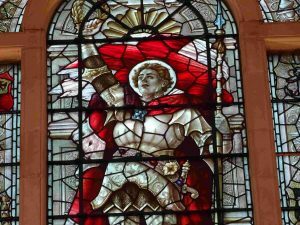 We were trying to work out if Victory is male or female? 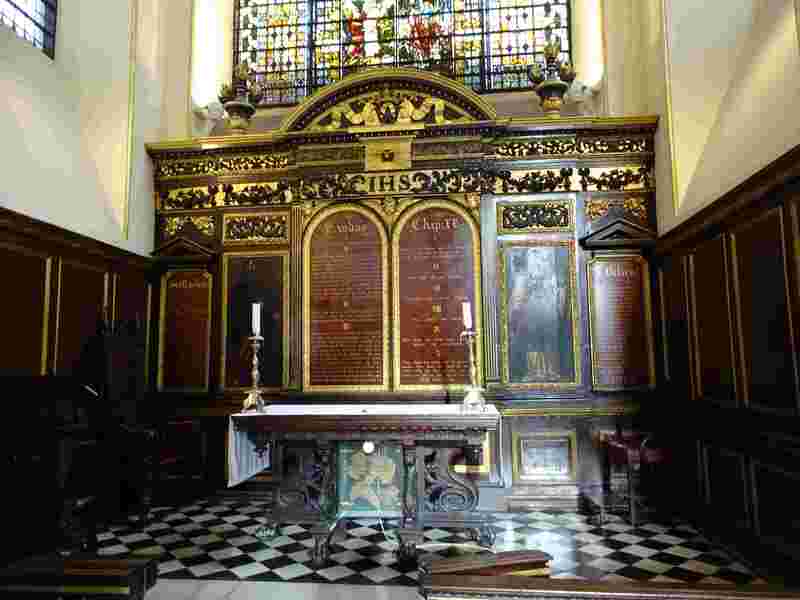 Two fascinating memorials. 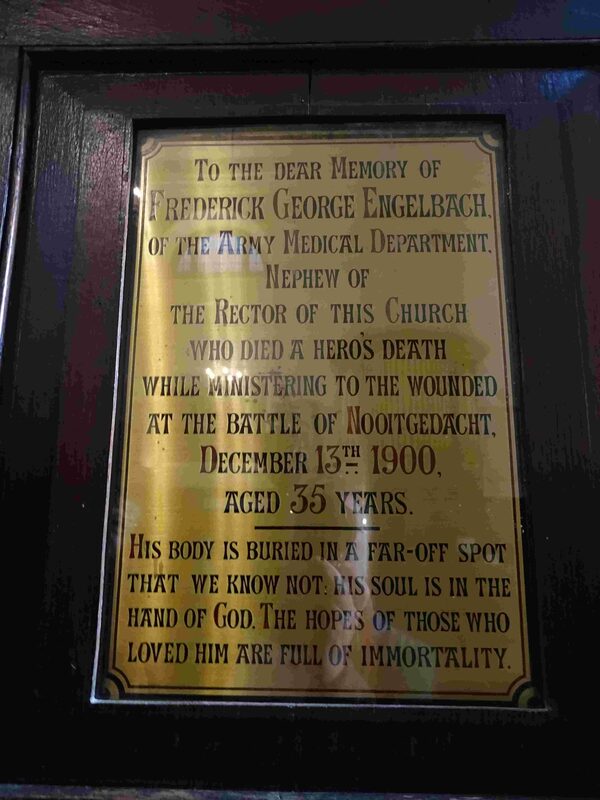 It turns out that Dr Engelbach is also remembered in Mortenhampstead in Devon – website. 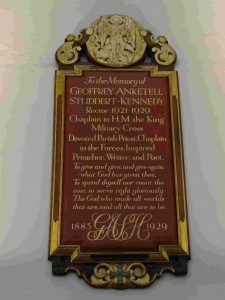 The Reverend Geoffrey Anketell Studdert-Kennedy is Woodbine Willie, and there is an excellent talk about him here. 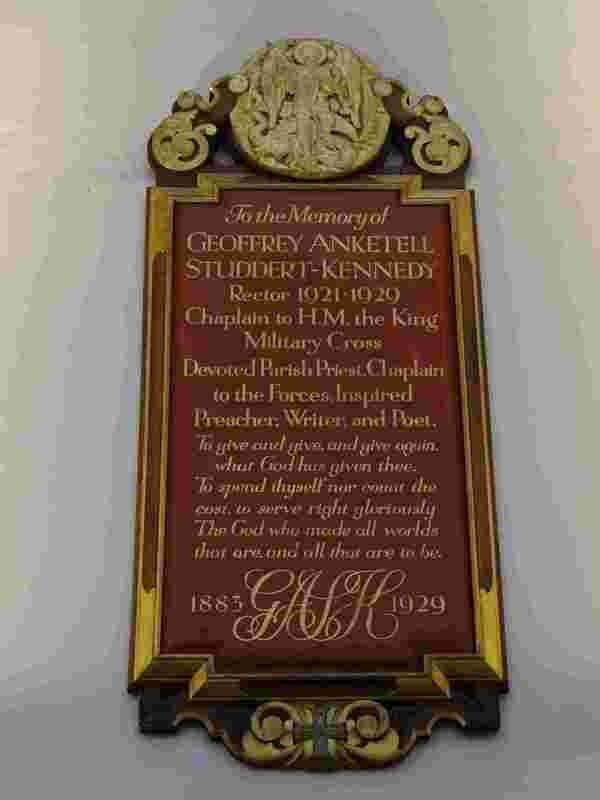 I had forgotten he had been based here after the War. 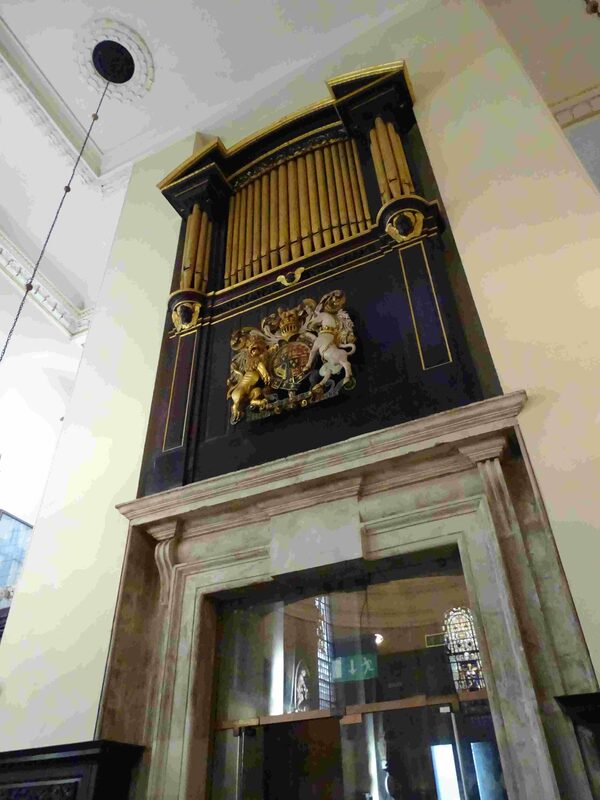 Nice woodwork, restored font, and organ case above the main door. 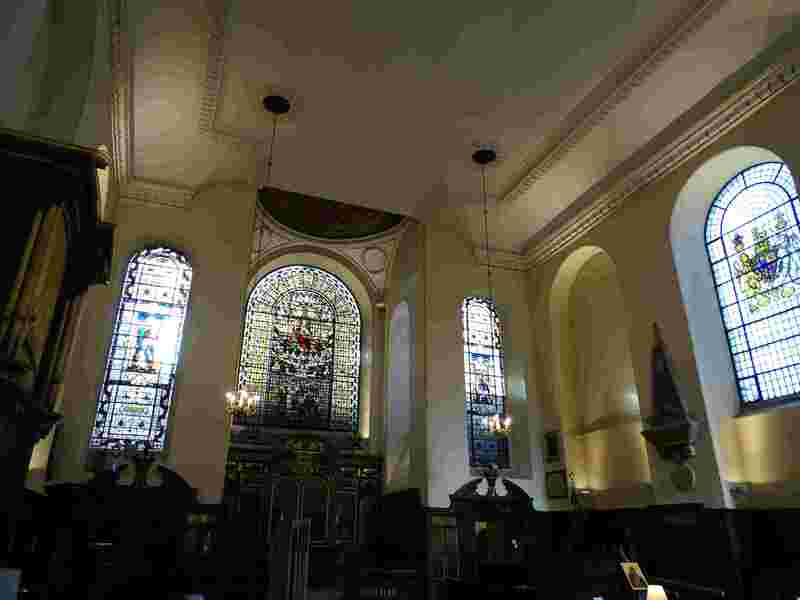 We enjoyed our explore of this church – as we had all four churches. 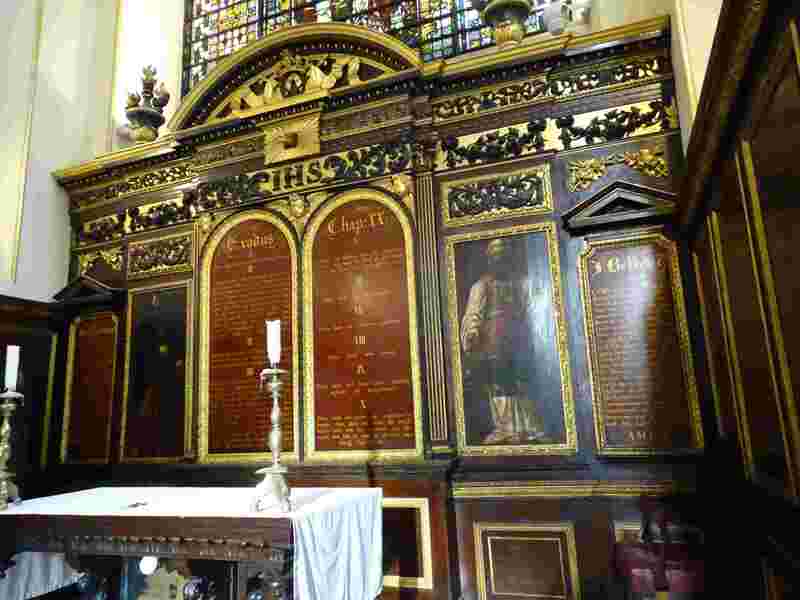 We have a map of the London City Churches and we will be back!